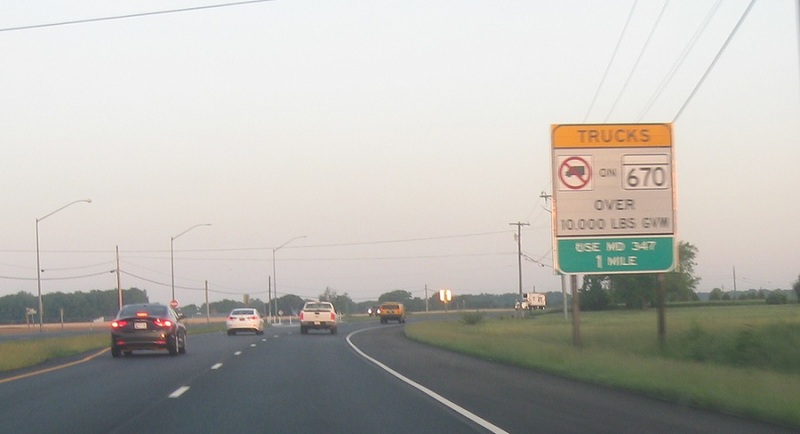 Reassurance shield after the business loop rejoins. 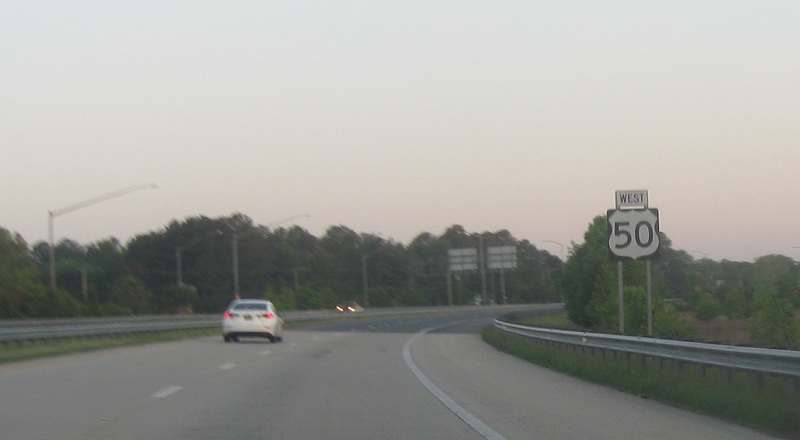 As we approach MD 670, we’re advised that big trucks should use 347 instead. 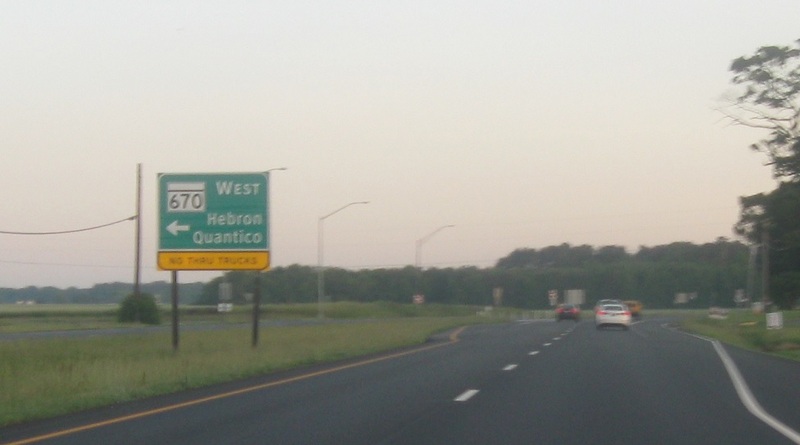 Follow 670 west to Hebron and on to Quantico (Maryland, not Virginia).